I saw several different recipes floating around on good ol' pinterest and I was inspired by all of them and decided to create my own recipe. 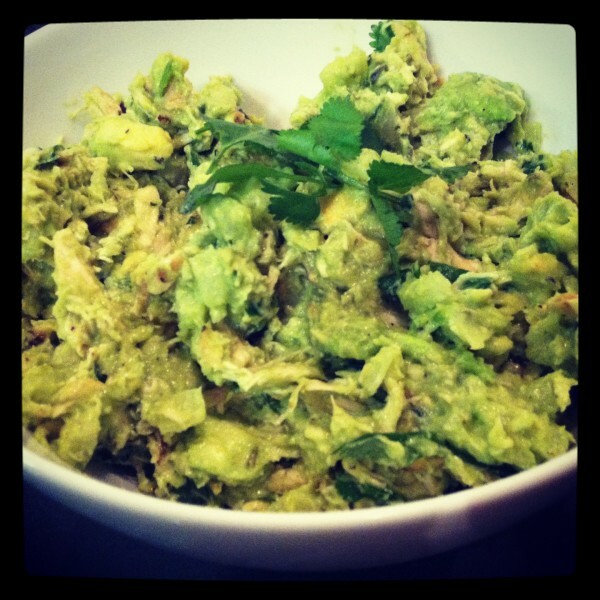 This Avocado chicken salad has become a staple for me, sooo good. This is the perfect Chicken salad (great for spring & summer seasons), it's super easy, and it's healthy! Double or triple the recipe if you're serving more than 4 people. This recipe is a great non-dairy option to the greasy/fatty chicken salad recipes out there- no mayo! The other chicken salad recipes also A clean option for your belly! *You can also add ground pepper, but I love the salty citrus taste! *I serve my Avocado Chicken Salad as is, over a bed of greens, inside a Brown Rice Tortilla wrap, or even dip Blue Corn Chips in it and eat as a dip! This recipe is great for a get together (just double or triple the recipe), but I also love to keep some of this whipped up in my fridge for a quick go to meal throughout the week!